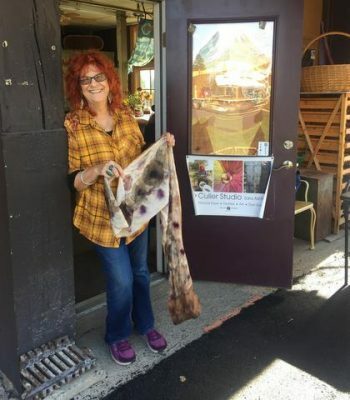 Make the winter brighter with an Earth Pigment Painting workshop with Twisp’s own Biological Alchemist – Sara Ashford. In this workshop you will create decorative cut fabric pieces that can be used in many ways. Quilting, table toppers, pillow tops, inserts on clothing, AND wall art! Techniques will include painting with Japanese Surikomi brushes and pigment sticks, block printing, Japanese Sashiko stitching and archival pen. No experience is necessary and all supplies are included in the cost of the workshop. This workshop is held at Culler Studio in the South Warehouse, Building #10 on the TwispWorks campus.